Wherever two or more people come together, there is bound to be conflict. This course will give participants a seven-step conflict resolution process that they can use and modify to resolve conflict disputes of any size. Participants will also be provided a set of skills in solution building and finding common ground. 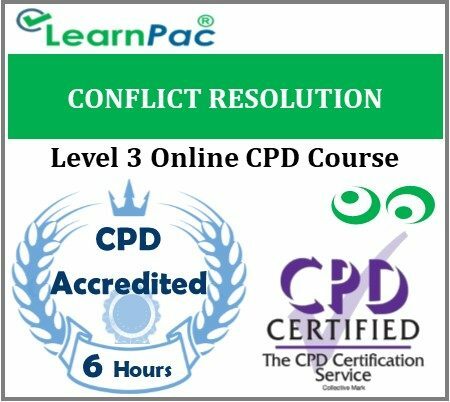 In the conflict resolution online training course, participants will learn crucial conflict management skills, including dealing with anger and using the Agreement Frame. Dealing with conflict is important for every organization no matter what the size. If it is left unchecked or not resolved it can lead to lost production, absences, attrition, and even law suits.